Adele began her career working in the public realm with roles as lead artist working in design teams for new public spaces. She has designed and produced architectural ceramics for hospitals, school playgrounds, churches, and designed healing art schemes that have been incorporated permanently into the fabric of new buildings. 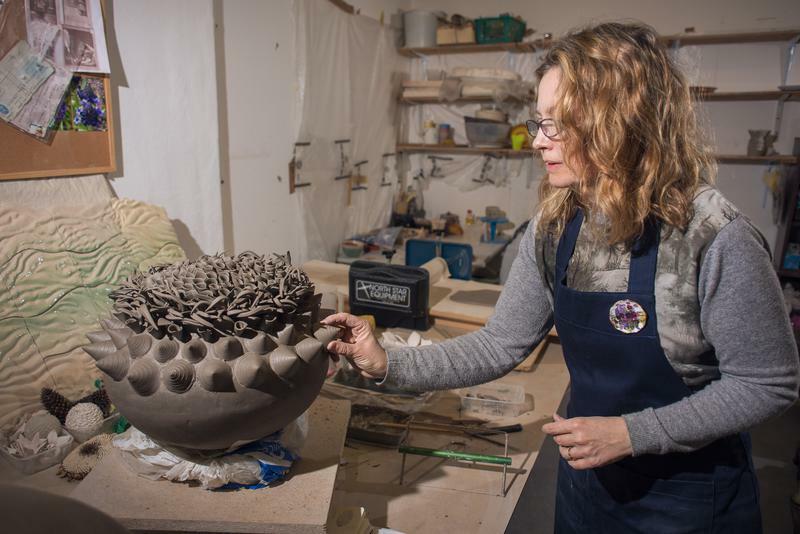 A period of research at Cordoba University into pollen grains and the concept of living landscapes inspired Adele to rediscover her pottery skills; she began to explore ceramics as landscape.